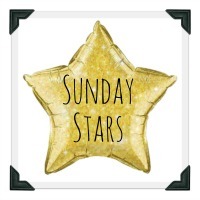 Hello and welcome to the Sunday Stars linky for this week (24th April). A group of us have been hosting Sunday Stars for over a year now, and we have loved doing it. We love how this linky introduces us to new blogs and fantastic star posts. However, many of us have gone on to run our own linkies and we would love to give some other bloggers the chance to get involved and help to run it. So if you love discovering new blogs, reading great content and think you might like to host the linky with us (and you would have lots of support) then do let us know! Thank you to everyone who joined in last week with Amy. Her Star Post was “Dear best friend, I have something to tell you..” from Hello Archie. Tweet your posts to me ( @karenjwhitlock) and @SundaysStars using the hashtag #sundaystars and I will RT. Next week Sunday Stars will be hosted by Katie so do pop over to find out who I will choose for Star Post from this week. Please, please, please read and follow the rules below to help this linky work successfully…..
• Link up just one post old or new, anything that you are really proud of and want to share. • Please make sure you add our badge or a link at the bottom of your posts. • To make sure everyone gets a little love try to comment on at least three other posts. After all, that’s what linkies are all about! !